If you haven’t seen these before, the design began life as an idea I had for swimmer-themed wrapping paper – snowflakes that are actually synchronized swimmers when you look closely. As an afterthought I decided to get a few swimming hats printed. And then I posted a picture up on Facebook, realized that the hats could be a lot more popular than I anticipated, ordered about 275 instead of the 50 I had planned, and sold out in weeks… and yep, I am still left with hundreds of sheets of wrapping paper. You win some, you lose some: at least wrapping paper doesn’t go off. The wrapping paper and matching cards are also in my etsy shop here. Swimflakes silver wrapping paper, with no repeat pattern. This entry was posted in Swimming hats etc and tagged art, design, Swimflake swimming hats, Swimflake wrapping paper, synchronized swimmers on September 8, 2017 by Nancy Farmer. Sometimes unexpected worlds meet. Before I painted a lot of swimmers, I painted (amongst other things) a lot of ladies in corsets. 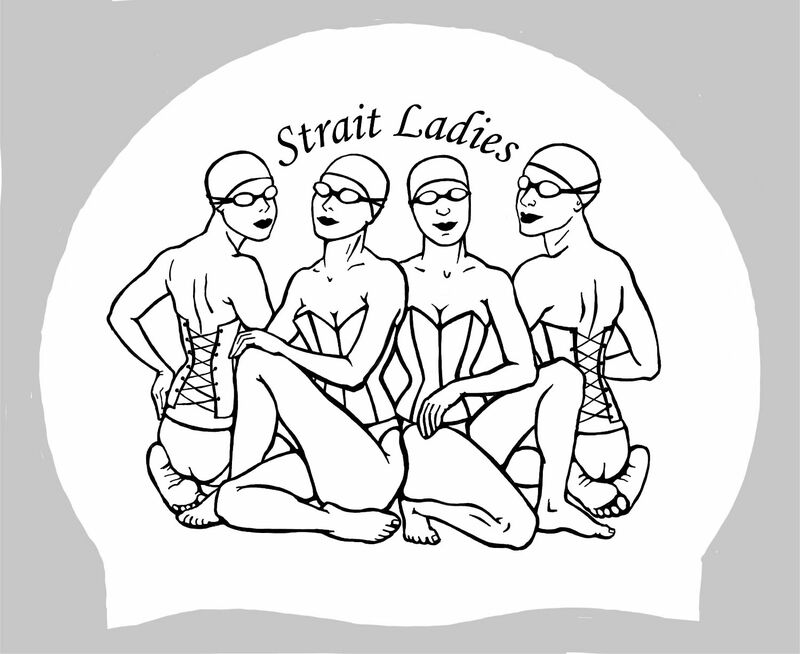 So when a lovely and courageous lady asked me to design the hats for her team of ‘Strait Ladies’, somehow the image immediately presented itself. 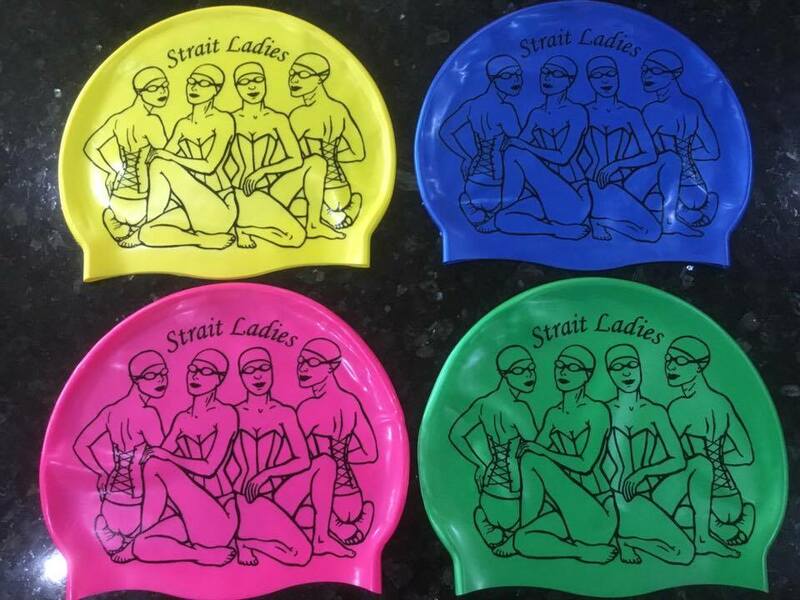 This entry was posted in commissions, swimming, Swimming hats etc and tagged art, commissions, design, Gibralta Straits swim, Strait Ladies, swimming, swimming hats on August 11, 2017 by Nancy Farmer. It’s been a bit of a summer for swimming hat commissions, here are two designs that I was asked to create. Enquiries into commissions are always welcome. I have put up some very vague guidelines on prices on a new Prices & info page, but the best thing really is to just email me, because it all depends on what you want. This entry was posted in commissions, Swimming hats etc and tagged commission, design, open water swimming, swimming, swimming hats on July 20, 2017 by Nancy Farmer.